This includes fibs, white lies and half truths. Using God’s name carelessly is called blasphemy. Have you ever looked at someone with lust? Anyone who looks lustfully at another person has already committed adultery within their heart. 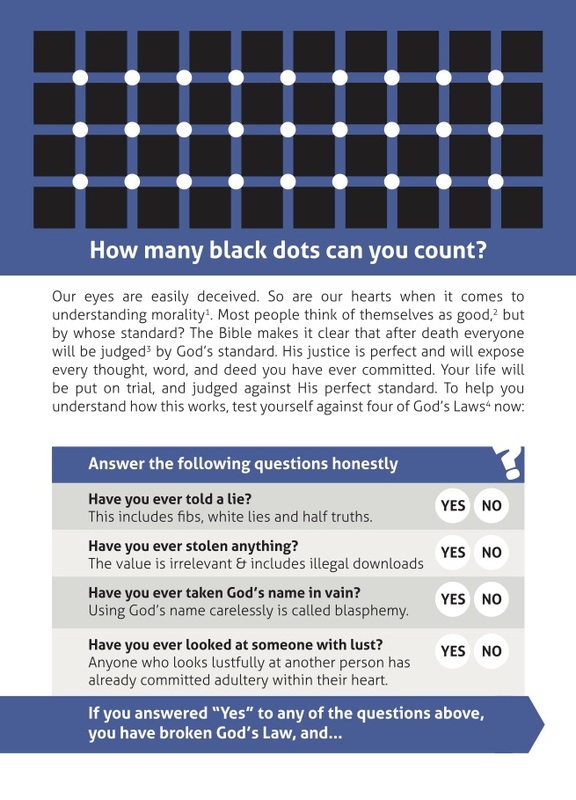 If you answered “Yes” to any of the questions above, you have broken God’s Law, and you will be found guilty when you face Him on judgment day. Don’t be deceived – sin will not go unpunished! The Bible states do you not know that the unrighteous will not inherit the kingdom of God? Do not be deceived; neither fornicators, nor idolaters, nor adulterers, nor effeminate, nor homosexuals, nor thieves, nor the envious, nor drunkards, nor revilers, nor swindlers, will inherit the kingdom of God. And, all liars, shall have their part in the lake of fire, which the Bible describes as a place where the smoke of your torment rises for ever and ever. If you die in your sinful condition you will perish. For this reason God sent His Son into the world to show his love toward us, in that, while we were yet sinners, Jesus Christ died for us. In Jesus, God as an innocent Man died on the cross in your place to save you from judgment. He is merciful and not willing that any should perish but that all come to repentance. What should your response be to this good news? 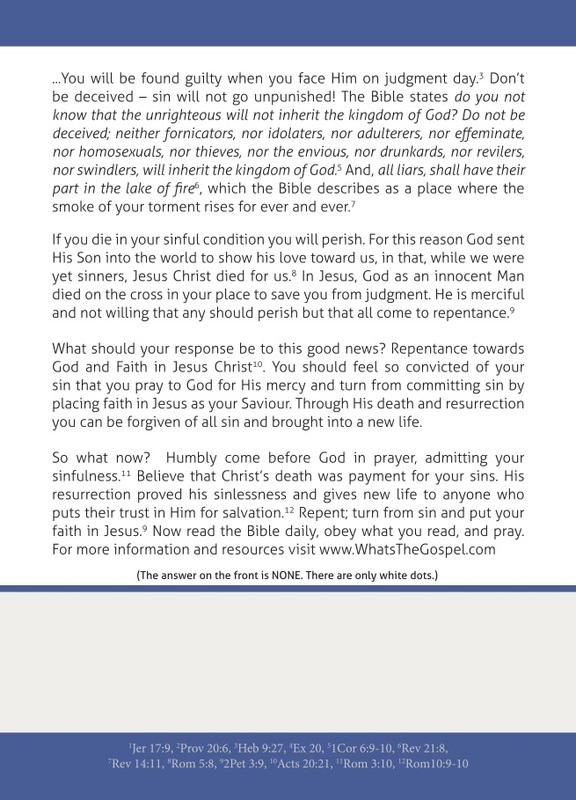 Repentance towards God and Faith in Jesus Christ. You should feel so convicted of your sin that you pray to God for His mercy and turn from committing sin by placing faith in Jesus as your Saviour. Through His death and resurrection you can be forgiven of all sin and brought into a new life.